Simba Scar Timon Pumbaa and Rafiki funko pop realistic figures will come to stores soon. Saw it on the fb page of the Lion Guard, along with the picture of them! Looks nice! 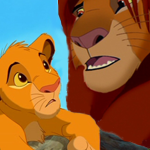 the scar and simba pops look nothing like their respective characters. Remake or original designs.